more easily and more efficiently taken up than those in solid food which requires specific digestive enzymes and stomach acid for absorption. Liquid nutrition allows for specific nutrient targeting for specifc disease states. Liquid nutrition can provide measured nutrient intake so that calories, sugar, sodium and other variables found in conventional nutrient sources can be standardized. Finally, liquid nutrition can provide a sound nutritional foundation for health challenges such as weight management, muscle recovery, wound healing, diabetes management, hospice care, bariatric surgery, prenatal care and many other health issues. Protein is an important macronutrient that is essential to preserving and nurturing good health. The importance of protein is undisputed. However, most individuals overlook plants as a viable source to meet their protein requirements. While animal sourced proteins are ranked higher on the food chain than plants, animal protein can contain appreciable amounts of cholesterol and saturated fats. Additionally, they can also be a source of antibiotics, hormones and other undesirable elements that are inherent in our food supply. Plant based proteins have no cholesterol or saturated fat and when properly formulated and enhanced can provide protein with a nutritional value comparable to other animal derived proteins. Perfect Protein Powder is just such a product providing 21 grams of protein per serving with only 1gram of sugar. It is formulated with agave inulin to provide prebiotic support along with a synergistic enzyme blend for easy digestion. This proprietary blend of enhanced pea protein along with Sacha Inchi, chia, and cranberry is vegan and vegetarian approved to address the protein needs of individuals pursuing a vegetarian diet. Finally, Perfect Protein Powder contains no soy, dairy, wheat, gluten, preservatives, artifcial colors, sweeteners or avors. Perfect Protein Powder is hypoallergenic and non-GMO. 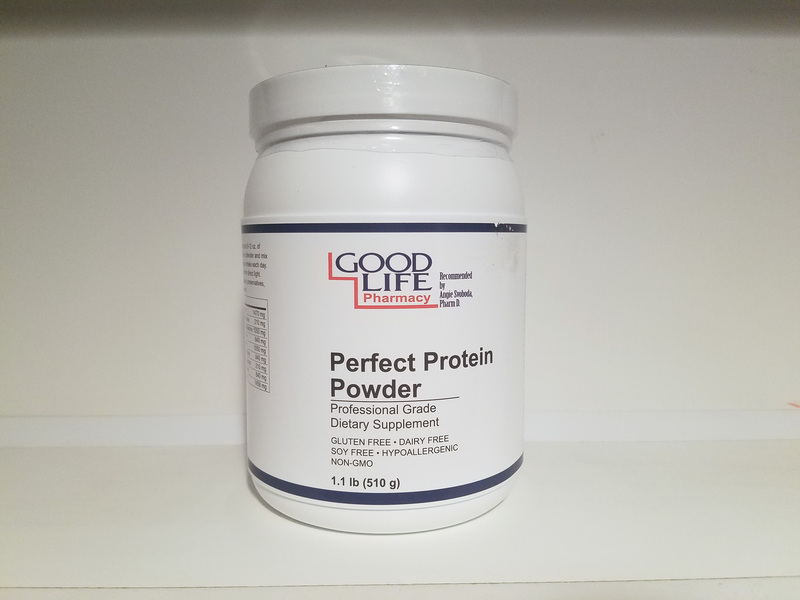 As a dietary supplement, Perfect Protein Powder can be taken to augment or enhance protein intake and is especially convenient for individuals with food sensitivities or food allergies.